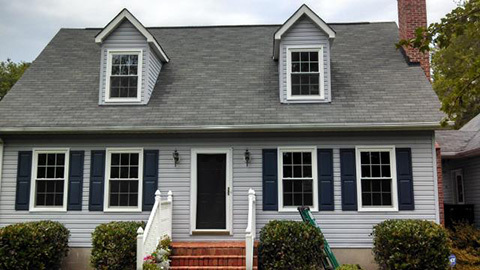 JJA Home Improvement is a King George Virginia licensed home improvement contractor of roofing and new replacement windows. Whether you are improving, remodeling, renovating or building a new home, you can count on J and J Aluminum to deliver high performance maintenance free windows and roofing for energy savings and a more comfortable home. Each window is custom-made from virgin vinyl resin for consistent color and strength. Each window is custom made to fit specific window openings and decors. Standard SureStart protection says that CertainTeed, at no charge, will repair or replace, at its option, any roofing shingles proven to be defective during the applicable SureStart period (see actual warranty for details). SureStart PLUS, the strongest extended warranty coverage in the roofing industry, which extends the coverage AND duration of the standard SureStart protection when a credentialed contractor like JJA Home Improvement installs an Integrity Roof System.